If you’ve ever skipped brushing your teeth in the morning or at night, you’re not alone. Though it’s clear that regularly brushing your teeth has plenty of benefits – from freshening breath to preventing tooth decay — is there really that big of a difference between brushing once-a-day and twice-a-day? As it turns out, yes! Brushing more than once a day can really make a difference in your overall dental health. Brushing, flossing, and using mouthwash or rinsing your mouth out with water several times a day reduces the bacterial load in your mouth and can help prevent gum infection, bad breath, and teeth staining. However gross it may sound, bacteria is present in your mouth at all times. There’s good bacteria – bacteria that is associated with keeping gums healthy – and not-as-good bacteria. Good bacteria forms biofilm on teeth that is harmless on its own. However, once that biofilm forms, the bad bacteria floating around in the mouth can then attach to that biofilm and cause periodontal disease. When this biofilm isn’t brushed away, the bad bacteria starts piling up and causing issues for our teeth. If you remove the biofilm and force the process of biofilm buildup to start over, you’re ensuring that only the good bacteria are allowed to buildup. 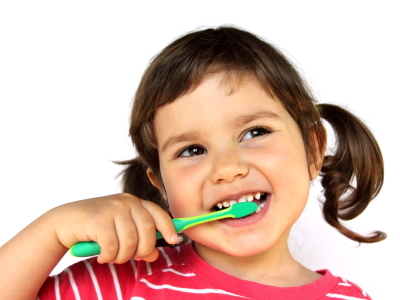 Brushing twice a day then decreases the chances for harmful bacteria buildup to occur. The family dentists at Dakota Dental want to ensure that their patients are not only taking care of their teeth, but are educated about dental health issues as well. Dakota Dental wants their patients to know the “why” behind healthy dental practices so they can have a real reason for keeping their teeth and gums as healthy as possible. Contact Dakota Dental today for more information on how to clean your teeth or to make an appointment.